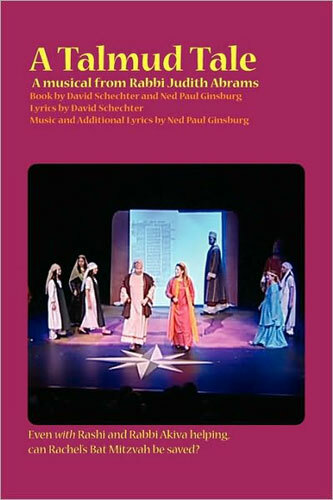 Book Description: Award-winning Talmud teacher Judith Abrams brings her love of Jewish tradition to the musical stage in this new musical drama. Rachel's bat mitzvah is nearing, and fights with her mother are heating up. Will the ceremony marking Rachel's coming of age instead tear apart her family? Assistance comes from an unlikely source: a friendly time-traveling angel who transports Rachel nearly 2,000 years to the ancient world of Talmudic Israel. There, a classic story of love and parental disapproval plays out between Rachel's ancient namesake and a poor shepherd, Akiva. In the end, Rachel discovers that the ancient Talmud has some very practical lessons for a modern girl.